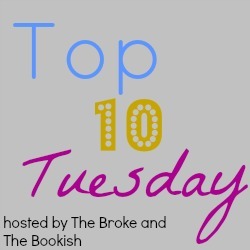 Top Ten Tuesday is hosted by those foxy bloggers at The Broke and The Bookish. 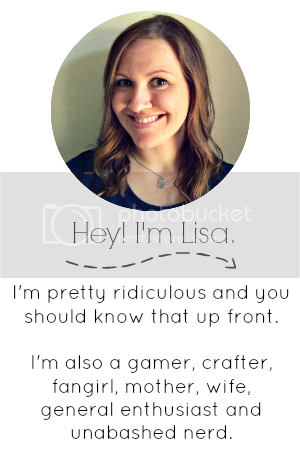 This week is a freebie! So I peeped the old topics and I found one I kinda really loved. Top Ten Books I can't believe I HAVEN'T READ YET. 1. Vampire Academy by Richelle Mead. I KNOW YOU GUYS. But I just started it last month so I'm like 15 pages in. OKAY? Don't hate. Encourage. 2. Blood & Chocolate by Annette Curtis Klause. This book is like a novella compared to what I've been reading lately. I could knock out this werewolf classic in NO TIME. 3. Delirium by Lauren Oliver. Yeah, I know. It's even got a sci-fi feel which is TOTES my thing. 4. Where She Went by Gayle Forman. Okay so I read If I Stay like WHEN it came out so idk what the hold up is with this one. I EVEN OWN IT. 5. ANYTHING by Melina Marchetta. I tried to read Jellicoe Road once and I could not get into it. I think it was right book, wrong time sitch so I promise to try and fix that okay? 6. Eon by Alison Goodman. It's about dragons. I own it. WHAT IS HAPPENING. 7. The Sloppy Firsts series by Megan McCafferty. I'm afraid many friendships are ruined by this but I can only assure you I do plan to fix this. Honestly I do. 8. Shadow & Bone by Leigh Bardugo. This book sounds PERFECT for me and thankfully my friend Heidi hooked me up with a signed copy! WHAT WHAT. 9. Lord of the Rings by J.R.R. Tolkein. I know I'm a huge LOTR nerd and I haven't read the books. I KNOW OKAY. 10. Bitterblue by Kristin Cashore. I LOVED Graceling and Fire and I'm just not reading Bitterblue. What is my hold up?! If we're still friends after this, we are friends FO LIFE. Thank you. You could make me feel better by telling me some of the books YOU can't believe YOU haven't read. You know. If you want to. Adore Vampire Academy! It's addictive and just a great series in general. I've read Delirium and absolutely loved the beginning but felt very 'meh' about the rest. ANYTHING by Melina Marchetta. I tried to read Jellicoe Road once and I could not get into it. I think it was right book, wrong time sitch so I promise to try and fix that okay? - YES. Don't worry, you are not alone! I tried reading Jellicoe Road last year and put it down after a few chapters as I couldn't get into it BUT that was because of me, not the book. I wasn't in the right mind frame. I then picked it up again this year in preparation for a signing and I LOVED it. I've never had an all-time favourite but now anytime someone asks me, that's my answer. Definitely give it another go (it's CRAZY GOOD), but just make sure your in the mood for it and I don't think you'll have a problem. Also: the start is rather confusing but give it time, Melina knows what she's doing. Trust me, it all comes together in the end. PS I love how we chose similar topics, ha! Pleeeeeease read Vampire Academy. And I've ONLY read Jellicoe Road by MM, so don't feel bad there. But I agree w/ G. Please read Jess Darling. I will! I promise! I feel like it's one of those books I will want to own, so I'm going to wait until I can get my hands on it somehow. You know, when I have cash to burn on MORE BOOKS I have to read! BAHAHAHAAA! I'm also a LOTR fan, but I just can't seem to read the books.. Delirium is okay. Great list! i've heard the LOTR books are a challenge...maybe that's why I'm putting them off! Ha! I hate to disagree with the Brunette Librarian, but I was just going to say SKIP Blood and Chocolate! I could barely finish it, it was so bad. But, to each their own. Shadow and Bone is on my own list. And I'm a fan of Cashore's whole series. Bitterblue was a lovely read to finish the trilogy. I haven't read Shadow and Bone yet either although I'm dying, too. You're lucky to have a signed copy! Definitely read Bitterblue as soon as you can! It's fantastic. I've brought home VA for every holiday & school break for a year and I still haven't started. *crosses fingers* this Christmas the time will be right. Marchetta is on my shelf wagging her finger at me too. Bitterblue would be grade to check off. You already know the world, but the new world of Shadow & Bone is pretty awesome. Oh geez, I haven't read Vampire Academy either and I feel like I shouldn't be allowed to be a blogger because of it! I have heard only good things and people love them, but I just...ugh. I don't know. No excuses. Maybe my new goal should be to read it by the end of the year? Also I think I would love Shadow & Bone, but of course haven't read it. It's even in my classroom library. Sigh. oh phew! I am not alone! Yes, you should read it this year! Both VA and Shadow & Bone! And just so you know, that gif made my day. omg THANK YOU for saying something about the .gif! I was worried I was all alone in my love for it. You get me. And I adore you. Definitely try Melina Marchetta's Saving Francesca a try! I liked that one, too. You really should read LotR, though I will admit that the first time I read the first book I fell asleep. I loved it the next time I read it, and practically tore through the second and the third. Also, Eon & Eona is a pretty good two book series - and you should read it. I absolutely LOVED it and I read it one after another in the span of a day and a half. If it makes you feel better, I have not read Bitterblue, Shadow & Bone or Sloppy Firsts either! I've heard nothing but awesome things about Eon/Eona! Of all the books on your list I've only read the first LOTR book (+ the Hobbit) but every single one is on my TBR list! (And most also on my bookshelf...) Need. To. Read. I've re-read Where She Went at least 5 times and will continue to re-read it forever. Absolutely LOVE that book. At first I tried reading one of Melina's books by reading Jellicoe Road too and it didn't click. But then I read Saving Francesca and The Piper's Son (my fave) and fell in love with her books. THE PIPERS SON is my absolute fav Marchetta book too! I loved revisiting the SAVING FRANCESCA characters in their 20s. And WHERE SHE WENT>>>IF I STAY. For some reason, I didn't click with the girl's point of view in book one, but I did with her boyfriend in book two...? And Lisa, when you finally read SLOPPY FIRSTS, dare I say you may have a rival for Todd Hewitt? There is a constant battle in my brain over which YA boy is most beloved...Todd or Marcus Flutie. I'm going to be reading Delirium this week! I think Where She Went was good, but I honestly barely remember it. I haven't read Bitterblue yet either...so we're together on that and some of the other ones you mentioned! USHER. Perfect. Also, I'm totally with on the Melina Marchetta biz, and Bitterblue. I have Jellicoe Road on my bookshelf, and I hear AWESOME things about Finnikin of the Rock too. I will read these SO SOON. And Bitterblue...I don't know why I procrastinate. But I do. I am sending you LOTS of encouragement re: Vampire Academy. I was mad late to those books, too, and I loved them. Read on, friend! I would not feel bad about the LOTR series AT ALL! Seriously, they are awesome but it's a SERIOUS investment of time. You have to be seriously dedicated to read this whole series.